At his hearing today, Scott Pruitt (Donald Trump’s nominee to head the EPA) said he could not testify as to the impact of lead poisoning in children because he hasn’t read the science. It will be safe to move back into the Chernobyl Exclusion Zone before it is safe to move back into Picher. Scott Pruitt’s has been Attorney General of Oklahoma since 2011. Prior to that, he unsuccessfully ran for an Oklahoma Congressional seat (in 2001) and Oklahoma Lieutenant Governor (in 2006).Something else happened in Oklahoma during those years. A town, Picher, was ordered evacuated and abandoned because the history of industrial mining for lead and zinc had left levels of those heavy metals so high that 1/3 of the town’s children had lead poisoning. The order to permanently close the town came in 2006, while Pruitt was running for Lieutenant Governor. 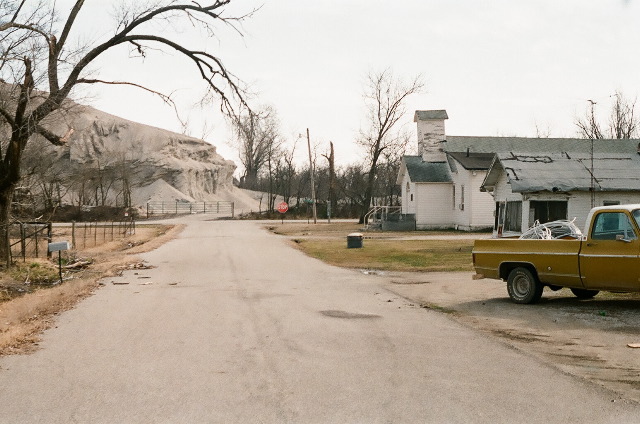 Today, Picher Oklahoma is a ghost town, called “America’s most toxic town,” and one of the worst cases of industrial pollution in the history of the world. Where once there was a population of more than 2,000 residents, now there is an uninhabitable husk. It will be safe for humans to move back into the Chernobyl Exclusion Zone before it is safe to move back into Picher. How can a man who was Attorney General of that state, who ran for Congress and the office of Lieutenant Governor, NOT be familiar with the science of lead poisoning? Better question: How can such a man be on record as opposing most EPA regulation?